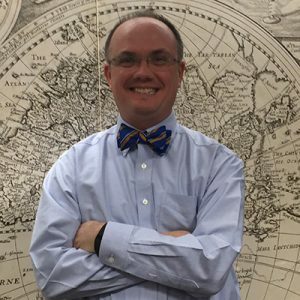 Thomas Sneed is an Associate Professor & Director of the Law Library at Washburn University School of Law in Topeka, Kansas. 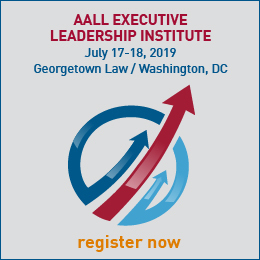 I first became a member of AALL after starting my first library position at Ohio State. However, I remember using the resources of AALL during my decision-making process to attend library science school. The Career Center was a great option for reading job descriptions and learning more about what I could do with a law degree and a library science degree. I can’t say enough about the community we have in our profession. I have many good friends spread out all over the country and this common membership helps keep us connected. I really enjoy the daily KnowItAALL email. As my professional and personal life have gotten more hectic, I don’t have the opportunity to read as much as I would like. This email lets me scan a variety of topics and often reminds me of the things I do want to go back and look at in more detail. I am going to pick two. My time on the editorial board for AALL Spectrum was a wonderful experience. I was able to interact with a lot of great people (many of which I have unfortunately still not yet met in person) and then have the sense of accomplishment from seeing the articles we helped pick in the magazine. Another great memory was the annual meeting in Boston in 2012. It was the first annual meeting I attended where my network had really started to expand, and I had a lot of fun exploring the city while catching up with former co-workers. Plus, I ran into Mike Lupica in a restaurant and even got a behind the scenes tour of Fenway Park! I have three small kids, all under the age of 8. Therefore, a lot of my time outside of the office is spent with them and participating in their interests. This includes things as varied as Cub Scouts, basketball in the backyard, dancing to Taylor Swift, and learning all about Transformers. I have also started riding my bike to work again after a few years of walking or driving to work. I have found routes with little to no traffic and this is a great time to either gather my thoughts or unwind at the end of the day. In the spring semester, I will be teaching a class on Leadership for Lawyers so I have been reading a lot in this area. One of the primary text I will be using is Deborah Rhode’s Lawyers as Leaders. I don’t think law schools talk enough about the reality that lawyers are leaders in not only the legal world but also in their communities. This book does a great job of covering the many key topics around leadership we see in the legal profession. Is Great Wolf Lodge a good answer? I am really looking forward to a few upcoming trips. 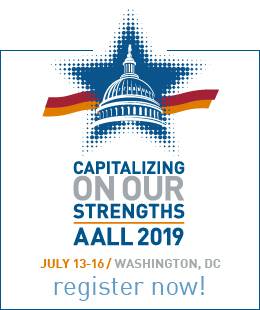 I am excited about the AALL Annual Meeting being in Washington DC in 2019 because I have only been there for two very short stays. My family is also talking about a trip to several western states we have never visited. We would love to see Mt. Rushmore, the other national parks in that area of the country, and then heading toward the Rocky Mountains.